We have had an exceptionally busy season as we have introduced another 11 Nike Futures Tour Championships this year for our Under 12 and Under 14 players. They have proved immensely popular with the Boys (and Mums and Dads) and have, without exception, been well supported. With 3 more events to play the race for the top spot in the Order of Merit is warming up nicely and quite a few Boys are in with a shout if they play well over the next few weeks. Once again, I’m afraid I have to report a lack of success in all three South East Group Qualifiers, we never seem to ‘punch our weight’ on the day and it is something we will look at over the Winter. In Match Play we always seem to do well above average, but our Stroke Play is quite a different matter. We still have a slight hope in the Seniors League despite the narrowest of losses to Hertfordshire when all we need was a draw to win the League. We are hoping Bedfordshire might strike lucky and beat them! We have only played two 1st Team matches and have won them both, so hopefully we will have good news in September. 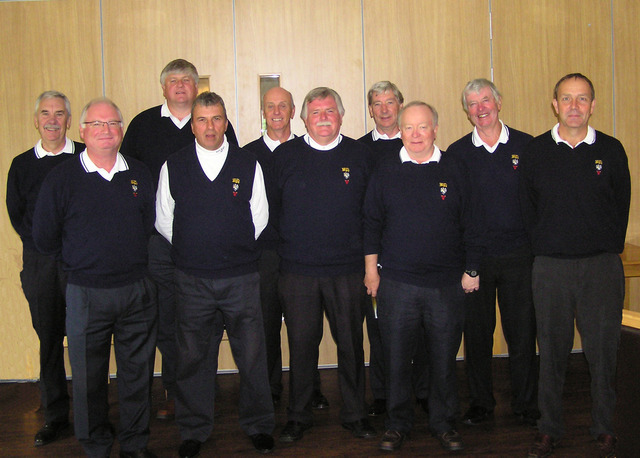 Our Seniors won the Preliminary of the Southern Counties Foursomes and will go to the Finals at Sherborne in October. 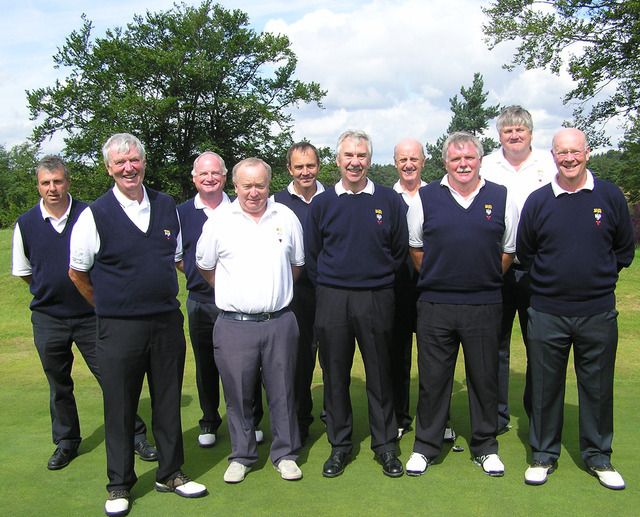 We played a successful friendly match against Dorset at Broadstone on 6th May. We won the morning foursomes 3-1 and managed a 4-4 result in the afternoon to win the match 7-5. 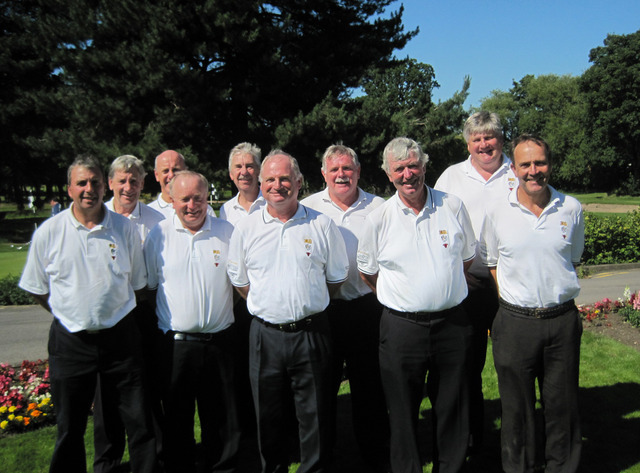 Team at Broadstone: Steven Barwick (Stoke Park), James Foster (Newbury & Crookham), Dean Newbold (Newbury & Crookham), Malcolm Reid (Sonning), Joe Richardson (Frilford Heath), Oliver Tite (Witney Lakes), Ashley Walton (Frilford Heath), Ashley Watkins (East Berkshire). A convincing 10-2 victory against Bedfordshire at Heythrop Park on 27th May saw us get off to the best possible start for the season. Taking the foursomes 3½-½ gave us a comfortable margin at lunchtime and with 4 wins in the first 5 afternoon singles games, the result was confirmed. With two more wins and a half we gained a healthy 'game point' score which may come in handy at the end of the season should the League be tied. Team at Heythrop Park: James Foster (Newbury & Crookham), Andrew Lynch (Stoke Park), Dean Newbold (Frilford Heath), Joe Richardson (Frilford Heath), Oliver Tite (Witney Lakes), Ashley Walton (Frilford Heath), Ashley Watkins (East Berkshire), Tom Wilde (Castle Royle). 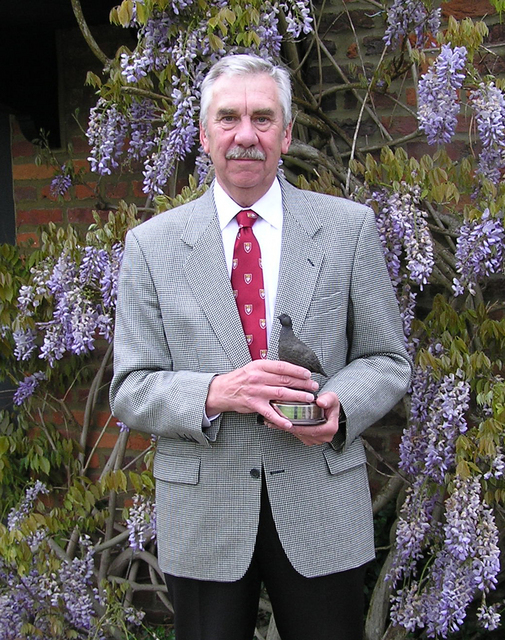 Andrew Lynch (Stoke Park) received his County Colours from George Wilson after making five League and South East Group appearances. Wet and horrible conditions were the order of the day at Heythrop Park on Sunday 3rd June as we played our second League Match against Middlesex. A great morning with a clean sweep in the foursomes and despite a few early losses we held on at the end and finished with a 9-3 win. Three players were awarded their County Colours after making 5 League appearances. 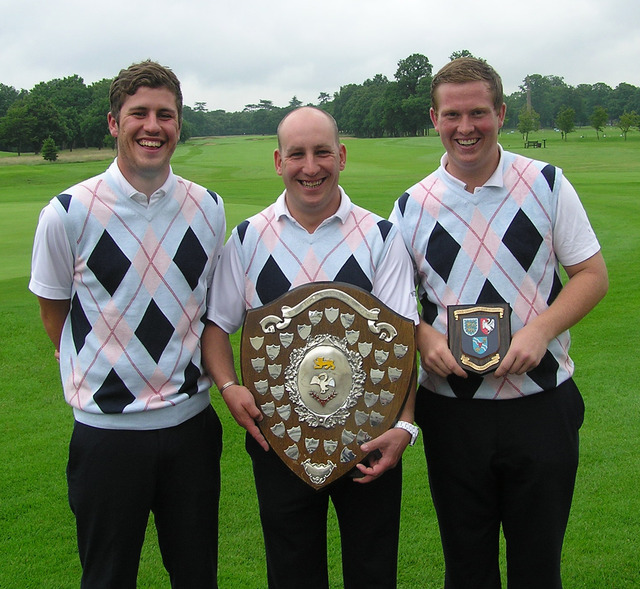 Ashley Watkins (East Berkshire) Joe Richardson (Frilford Heath) and Ollie Tite (Witney Lakes). Well done to all three. Team at Heythrop Park: Steven Barwick (Stoke Park), James Foster (Newbury & Crookham), Dean Newbold (Newbury & Crookham), Joe Richardson (Frilford Heath), Oliver Tite (Witney Lakes), Ashley Walton (Frilford Heath), Ashley Watkins (East Berkshire), Tom Wilde (Castle Royle). Our 1st Team match against Hertfordshire was abandoned due to a waterlogged course at Brocket Hall. Another date will be arranged for later in the year. We took on Bedfordshire on 2nd June at The Millbrook which is an 'interesting' course with some serious hills and lots of blind shots. So it was the ideal preparation for some of our guys to practice their course management skills ahead of the following week's 6 Man team event. We ran out comfortable winners of the foursomes with the top 3 pairings prevailing along with Jake Dines and Harry Collins doing their stuff at number 5. It is worth noting that the U16 team of Chris Little and Max Nicholls are still unbeaten at Elite level in this format! The singles went a similar direction with 7 of the team winning - although it has to be said that some of them did rather string it out after being four and five holes ahead. 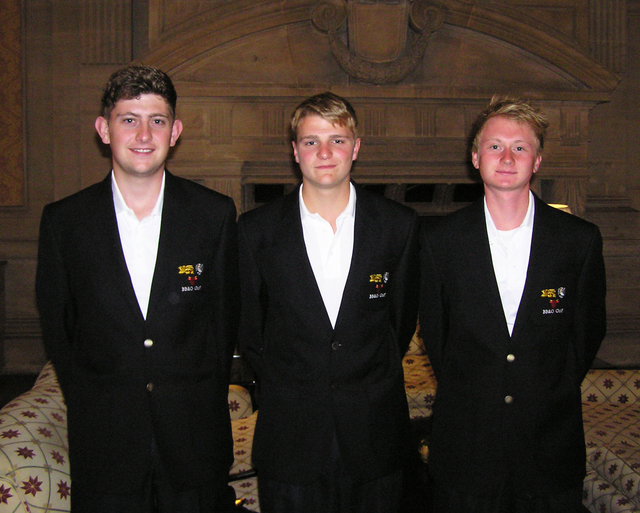 Particularly good performances came from Harry Wetton and Jake Dines who, although not making the 6 Man team have shown their determination to challenge for a part in our defence of the regional Foursomes title later in the season. BB&O were 11-4 winners and we thank the Bedfordshire team for a most enjoyable day. Team at The Millbrook: Ben Beach (Stoke Park), George Bell (Harewood Downs), Harry Collins (Frilford Heath), Jake Dines (Frilford Heath), David Langley (Castle Royle), Chris Little (Frilford Heath), Max Nicholls (Newbury Racecourse), Tim Shin (Castle Royle), Harry Wetton (Woburn), Jordan Williams (Frilford Heath). On the 30th July we played our first League Match against Hertfordshire and Middlesex at Richings Park. In the morning Foursomes we struggled against Hertfordshire and were 1-3 down at lunchtime but had a 4-0 lead over Middlesex. A much better afternoon in the singles saw us win 5 of the 8 games against Hertfordshire, resulting in a 6-6 draw and we took 7 of the singles against Middlesex to win 11-2. Team at Richings Park: Patrick Bart (Burnham Beeches), Sam Boffin (Hadden Hill), Sam Brass (Castle Royle), Zac Cooper (Beaconsfield), George Gardner (Castle Royle), Alex Nicholls (Goring & Streatley), Louie Moore (Beaconsfield), Elliot Wills (Beaconsfield). Our second League fixture was at Caddington and we took on Bedfordshire and Hertfordshire. A poor performance in the Foursomes meant we were going to find it very difficult to make a comeback in the afternoon. We trailed Hertfordshire by ½-3½ and by 2-3 against Bedfordshire. A somewhat better effort in the singles against Bedfordshire winning 6-4 enabled us to overcome the morning deficit and sneak home 8-7 winners. Unfortunately the same golf was not good enough against the Hertfordshire Boys and they beat us 8½-4½ to win 13-2. Team at Caddington: Harry Bowness (Newbury & Crookham), Charlie Brown (Castle Royle), Matt Cradock (Witney Lakes), Alec Curtis (Goring & Streatley), Michael East (Burnham Beeches), John Gough (Stoke Park), Jordan Holden (Winter Hill), Tom Kane (Woburn), Seb Jones (Castle Royle), Harry Powell (Calcot Park). The Seniors got off to a great start to the season with an emphatic win against Essex, 8½ to 1½ on 21st May at Maidenhead. Excellent performances from the 'youngsters' were backed up by solid play from the 'the old guard' to ensure a comfortable win. Team at Maidenhead: Ashley Brewer (Denham), Rod Crisp (Ellesborough), Adrian Donkersley (Gerrards Cross), Bob Lander (The Lambourne), David Lane (Goring & Streatley), David Niven (Newbury & Crookham), Chris Osborne (Temple), Cliff Pearce (Ellesborough), Gilbert Runnicles (Gerrards Cross), Phil Sewell (Castle Royle). A near perfect result at The Bedford on 11th June against Bedfordshire gave us a healthy lead in the League. A resounding and well earned victory of 9½ to ½ in atrocious cold, windy and wet June weather conditions. With two matches remaining the aim is to retain our current first place in the standings and set ourselves up for the League decider. Team at The Bedford: Ashley Brewer (Denham), Rod Crisp (Ellesborough), Adrian Donkersley (Gerrards Cross), Bob Lander (The Lambourne), David Lane (Goring & Streatley), David Niven (Newbury & Crookham), Chris Osborne (Temple), Cliff Pearce (Ellesborough), Gilbert Runnicles (Gerrards Cross), Phil Sewell (Castle Royle). Another good win against Middlesex at Fulwell on 23rd July put us at the top of the League table. A good win on a hot day (makes a change) meant that we needed a draw against Hertfordshire to win the League. A good start had us in the driving seat for most of the match and with just one loss in the first few games we were never really in trouble of losing and we closed out the match 7½-2½. And so to The Berkshire on 30th July for, effectively, ‘The Decider’, a draw and we would win the League. Hertfordshire are very strong at the top but vulnerable lower down. How true that proved as we got nothing from the first 4 games and 4½ points from the last 6. Half a point was all that it took to dash our League hopes and we will need to improve considerably at the top end to challenge Hertfordshire’s likely dominance over the next few years. Team at The Berkshire: Ashley Brewer (Denham), Adrian Donkersley (Gerrards Cross), Neil Franklin (Beaconsfield), Bob Lander (The Lambourne), David Lane (Goring & Streatley), David Niven (Newbury & Crookham), Chris Osborne (Temple), Cliff Pearce (Ellesborough), Gilbert Runnicles (Gerrards Cross), Phil Sewell (Castle Royle). 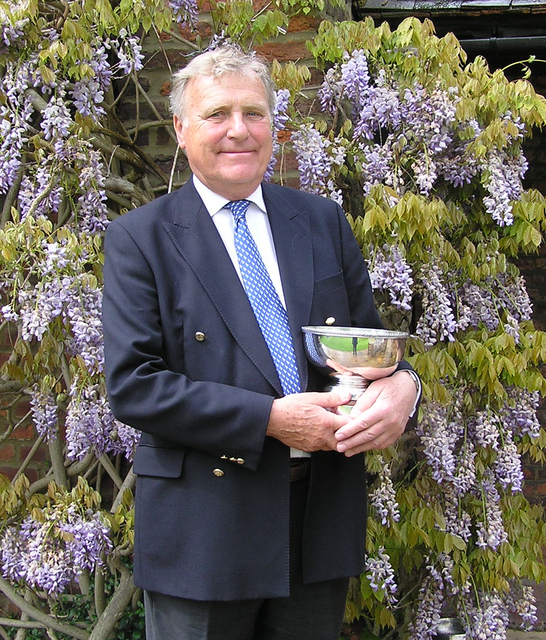 Bob Lander (The Lambourne) won the Seniors' Championship at Denham at his first attempt on 14th /15th May by 5 shots from David Niven (Newbury & Crookham). His exceptional round of 70 on the second day saw him leave the field in his wake after 2 days of extremely testing weather conditions. 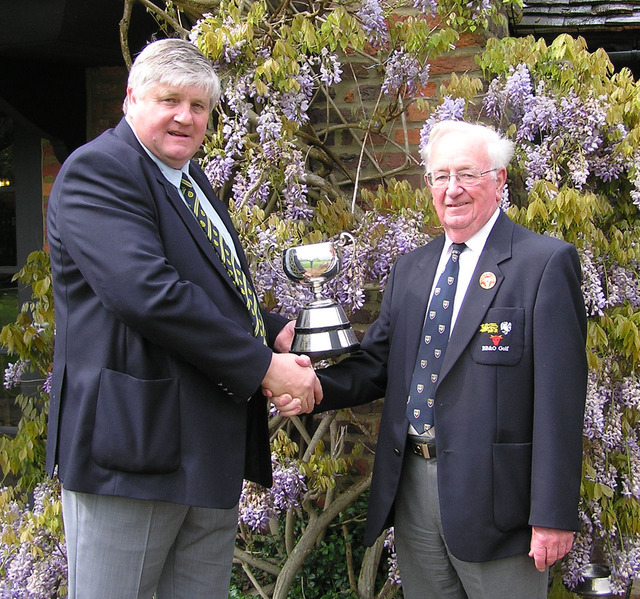 The Colts and Mid Age Championships were played at The Lambourne on Friday 15th June. The age range is up to 25 for Colts and over 25 for the Mid Age. 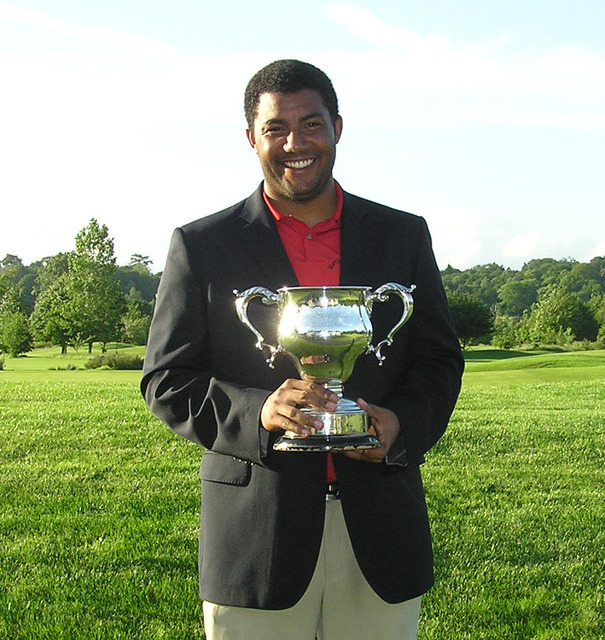 Paul Raines (Winter Hill) won the Colts Championship. In very difficult conditions his score of 3 over par was an excellent effort and he just got the better of Adam Batty (Hazlemere) who was 2 shots back as he finished runner-up for the second year in a row. Alex Lodge (East Berkshire) finished 3rd on 152. 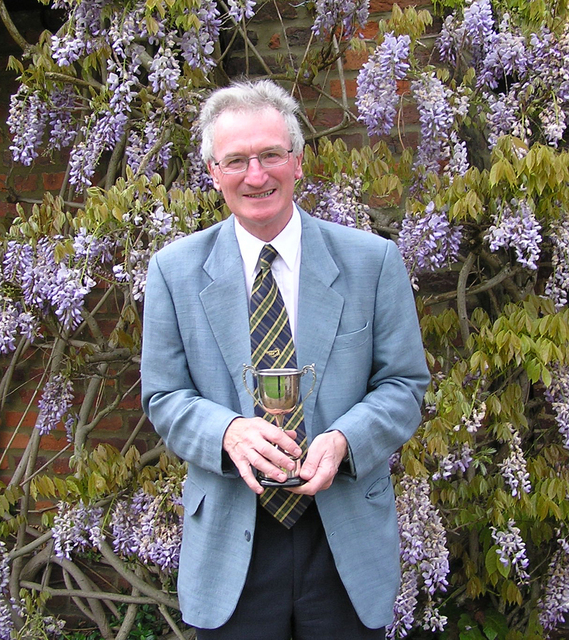 In the Handicap Section Paul also collected the Busby Bowl beating Matthew Chiddington on countback. 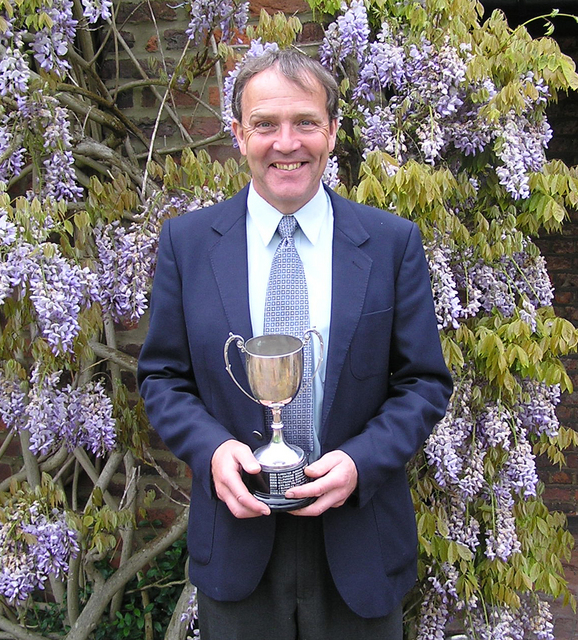 Carl Corbin (Wokefield Park) enjoyed a 4 shot margin from Nick Scrutton (Castle Royle) to take the Mid Age Championship. His scores of 71 and 74 were exceptional on a really difficult day and his 3 under par outward half in the afternoon gave him a comfortable lead that he never relinquished. 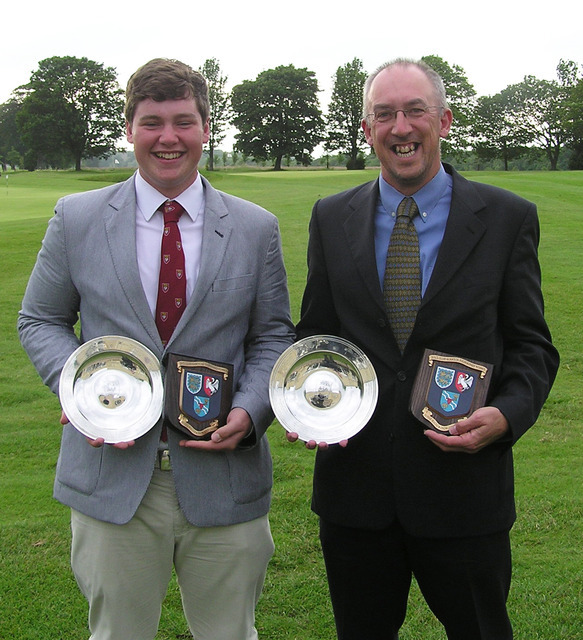 Harewood Downs won both the Club Scratch and Handicap Foursomes Championships at Heythrop Park Golf Club on Friday 29th June. Clubs may enter 2 teams and each team can win either or both Championships. The team of George Bell and Paul Heselden had a terrific day. Playing off a combined handicap of 2 they had an excellent round of 75 in the morning to share the lead with Alex Lodge and Ashley Watkins from East Berkshire in the Scratch Championship. Their net 74 was just one behind first round joint leaders Bob Lucas and Brian Kelly from Sand Martins and Dan Scourfield and Nathan Gibbard from Bicester in the Handicap Championship. A fine found of 73 in the afternoon saw them open up a large lead in both events and they eventually finished 5 clear of the Gerrards Cross pair of Craig Buttivant and Jake Haines in the Scratch Championship and 4 clear of Simon Hopkins and John Wilks from Burford in the Handicap Championship. The Champion Club and Courage Trophy were played at Stoke Park Friday 6th July but, on another awful day of weather, the tournament was reduced to 18 holes. Everyone was disappointed as Stoke Park was in stunning condition and was a real test off the Blue Championship tees. The players were all aware that in the event of the Championship being reduced to 18 holes then all 3 scores would count to determine the Champion Club. With one 3 ball left on the course, Harewood Downs were leading on 15 over before Woburn's Sam Whitehead produced a great round of 2 under par 69 to put them in the lead at 14 over par. 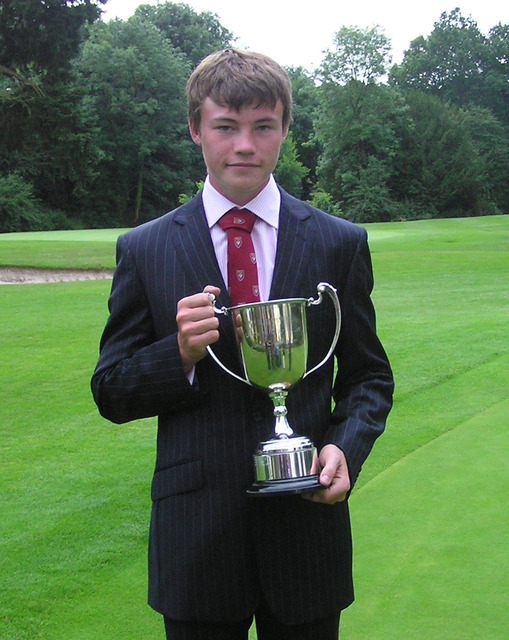 Sam's round won him the Courage Trophy by a margin of 2 from Harry Chapple from Calcot Park. 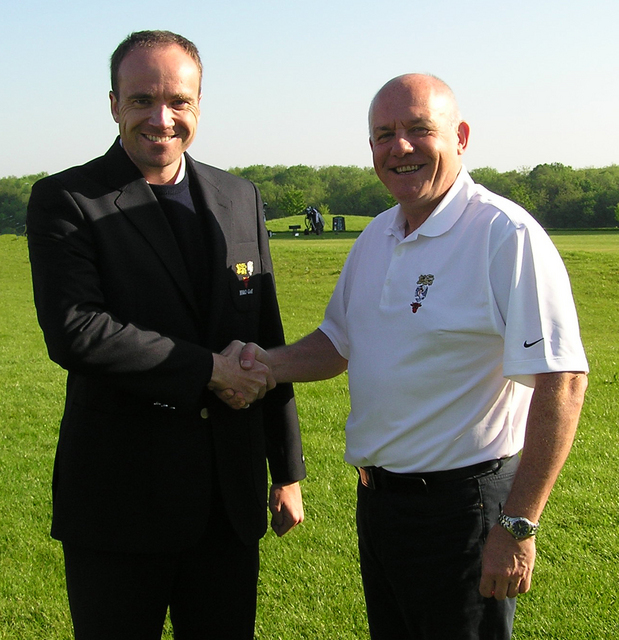 Woburn will now go on to challenge for the England Champion Club title at Stoneham in September. A full field of 24 Clubs competed as this tournament is considered a major BB&O Championship and is now played at Frilford Heath, Woburn and Stoke Park on a rotating basis. Three fine venues and all a pleasure to play which is why we always expect a full field. Steven Stanhope won the Under 12s Championship by 4 shots from Conor Gough at Beaconsfield on a glorious sunny day on Monday 23rd July. The course was still playing tough, with heavy rough after such a prolonged wet spell, so his score of 80 was a very credible effort. 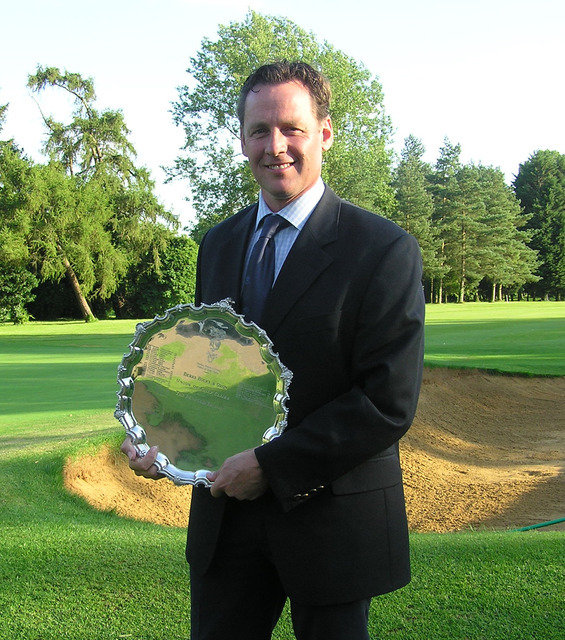 The Penfold Trophy was played at Burford Golf Club on Saturday 28th July 2012. This event also serves as the qualifying round for the BB&O Amateur Championship and the top 48 players and ties gain automatic entry to the Amateur and the next 60 play in the Penfold Trophy for the remaining 24 spaces. In this case there were just 23 spots available. Good scoring in the morning saw the top 23 spots on 77 or better with George Wilson (Woburn) and Donovan Henderson Sowerby (Burford) leading the way. The cut prediction was 156 and this would not be far away at the end of the day. Close behind the leaders was another Woburn player Garry Mumford and Mark Browning (Donnington Valley). It was Gary Mumford who set the course alight in the afternoon with a stunning round of 5 under par 66 and he won the Trophy by 5 clear shots from his club mate George Wilson with Mark Browning and Donovan Henderson Sowerby sharing 3rd spot. The cut for 23rd spot fell at 157 which is the highest for some time. 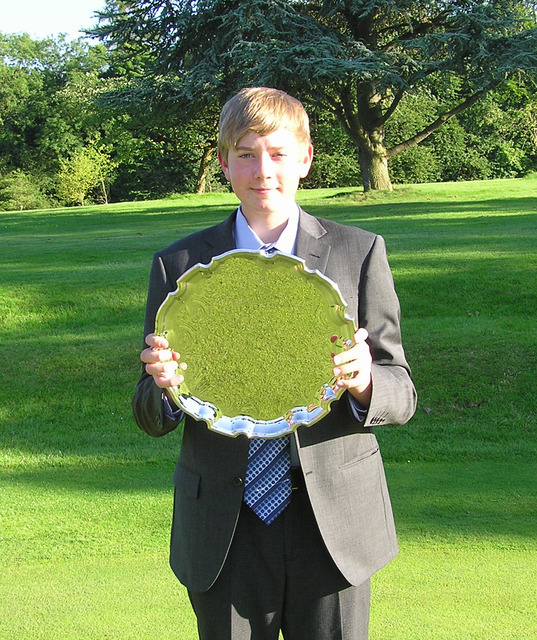 The BB & O Boys 14 years and Under Championship was played at Castle Royle Golf & Country Club on Tuesday 31st July. There was only an average entry of 33 boys with handicaps of 20 or less for this Championship, so we will raise the handicap limit to 24 to enable a few of the late starters (nowadays) to the game to get a taste of Championship golf. Once again we had a dry day and quite sunny. Most of the Boys found scoring difficult with the course playing quite long and there were on 9 scores under 80. Over the last few holes it all became very tight as a few shots were dropped as some nerves took over. At the final reckoning though it was Elliot Wills (Beaconsfield) who came home 2 shots ahead of Michael East (Burnham Beeches) and his club mate Sam Bower. In the handicap prize section Fraser McDonald (Sonning) took the honours on countback with Harry Bowness (Newbury & Crookham) and Tom Lawton (East Berkshire) in 2nd & 3rd after similar fine rounds of net 69. 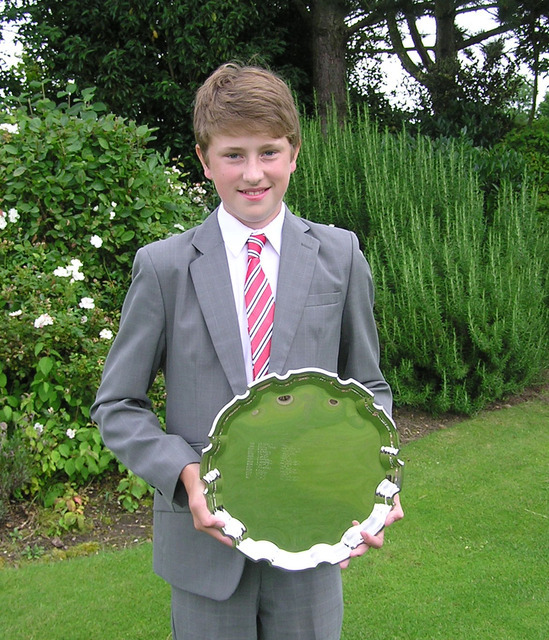 The Douglas Johns Trophy was played at Harewood Downs Golf Club on Thursday 2nd August. This Open event is contested by players aged 15 years and under from all over the Country. It attracted an extremely high quality field from more than 50 different clubs, ranging from the far North of Scotland to the South West. England Boys selectors were on hand to witness golf of high calibre in testing conditions, over the tight par 69 course, which made par or better an exceptional score. The morning scoring was higher than usual, but the blustery weather conditions certainly made the course a couple of shots harder. However the field was tightly bunched and there were 14 players at 73 or better with Marco Penge (Worthing) and Sam O’Brien (Stoke-by-Nayland) leading after rounds of 70. The afternoon scoring was almost identical with just 17 players on 73 or better. Only Murray Naysmith (Dalmahoy) equalled the par of 69 all day and our 5th playoff in 8 years loomed large on the horizon. 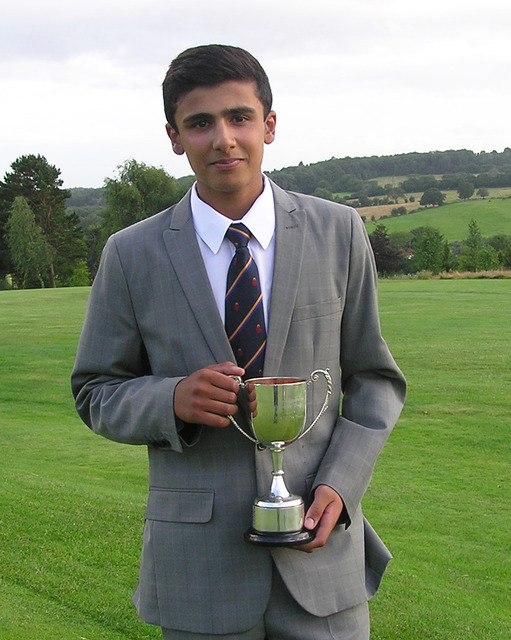 In the end it was Arrun Singh Brar (Brokenhurst Manor) and Harry Burt (Wrekin) who made it into the playoff but there were 4 more players just one shot back who could all rue a missed opportunity in their last couple of holes to have joined the other two into extra holes. The playoff was a little anti climatic as Arrun took each of the first 2 holes after his opponent had 3 putted. With a 2 shot cushion down the last, his very solid par 4 was good enough to the Trophy. With age on his side he will be back to defend the title next year. 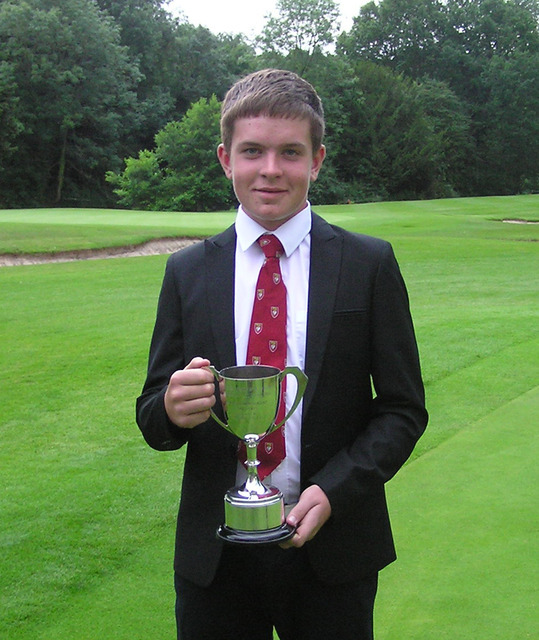 The Junior Championship was played at Buckinghamshire Golf Club on Monday 6th August. We have moved this event away from the Easter holidays as it is felt that, for such a prestigious event, we could do with some better weather than we have experienced in the past. 60 Boys aged 18 and under contested the Championship on this testing layout playing nearly 6,900 yards. Weather conditions were reasonable and we expected some good scores. Three players broke par in the morning and leading the way with a fine score of 69 (3 under par) was George Bell (Stoke Park) followed closely by defending Champion - David Langley (Castle Royle) with a 70. 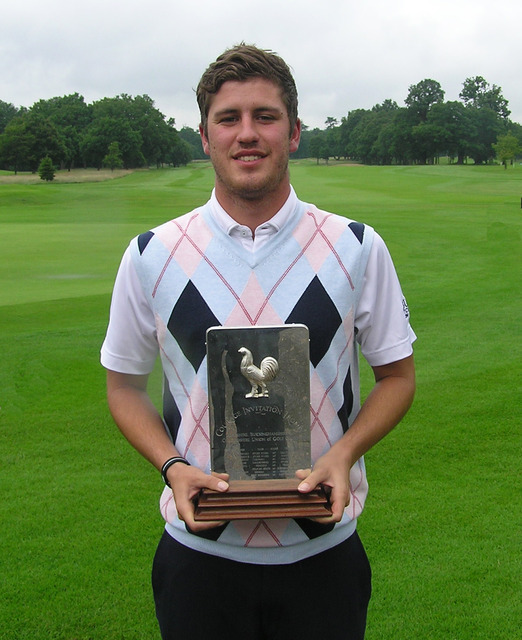 Chris Little (Frilford Heath) had a round of 71 and Harry Wetton (Woburn) matched the par of 72. The scoring in the afternoon was about the same but this time just one player broke par and as David Langley played his 18th hole, George Bell was finishing on the other side of the course and the crowd could watch both players vie for the Championship. Neither player knew the other’s score to par but the crowd did and were aware that Langley held a 3 shot advantage on the tee. He didn’t hit a great tee shot to the narrow par 3 9th and did well to make 4, meanwhile Bell needed to eagle the par 5 18th to get into a playoff but could only manage a par leaving David Langley as the Champion once again. The Handicap Trophy went to Seb Jones (Castle Royle) by 2 shots from James Brady (Sonning) and the Under 16 Trophy went to Chris Little (Frilford Heath) who also finished 4th overall. Our thanks to the management of Buckinghamshire Golf Club for allowing the boys to play at such a fine venue. 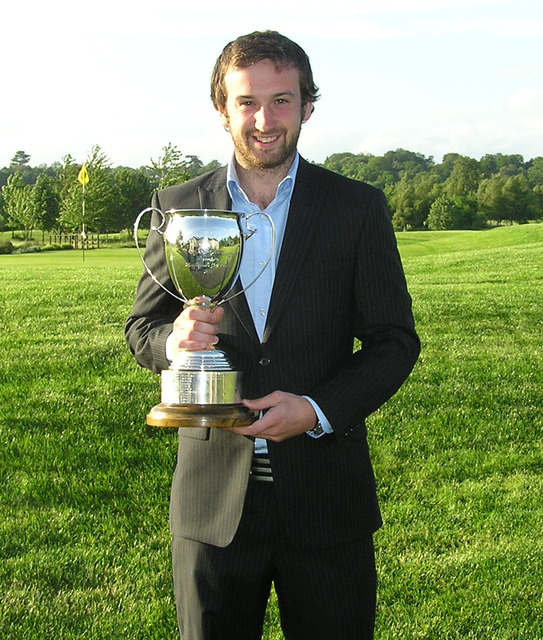 The 83rd Amateur Championship was played at East Berkshire Golf Club on Friday 10th & Saturday 11th August. The format for this Championship is that the top 48 (based on exact handicap) are entered automatically and there are 24 qualifiers from the Penfold Trophy. The field was competing for just 16 places (and ties) for the final 36 holes on Saturday. On the first day there were plenty of good scores both morning and afternoon. The par of 69 at East Berks is a real test with just one par 5 and numerous strong par 4s to negotiate. Max Smith (Newbury Racecourse) and Paul Raines (Winter Hill) posted level par 69s with 6 others 1 shot further back in the morning. After lunch a with a little ‘local knowledge’ acquired it was no surprise to see 5 sub par rounds with the County Captain, George Wilson (Calcot Park) shooting a terrific round of 65. The cut however fell at 144 which was 6 over par and probably the highest for a while. Exactly 16 players went through to the second day. The 3rd round is considered to be ‘moving day’ and as such, once again, some moved forward and some backward. Just Lindsey-Ben Woolford (Woburn) managed to break par as the greens had speed up a touch since Friday and were now running at 12½ feet on the stimp. He led by 3 from Carl Corbin (Wokefield Park) who had added a 71 and most of the others seemed to have dropped too far back to be in contention. However, in one of the tightest finishes for a long time, playing the last 3 holes 4 players had a chance to win. Ashley Watkins (East Berkshire) set the mark at 7 over par for Tournament and within minutes Lindsey Ben Woolford had joined him at the same mark. In the next group Carl Corbin missed his chance to take the lead at the 18th and out in the middle of the fairway, Max Smith, knew exactly what he had to do to win. He hit an exquisite shot into the 72nd hole and calmly two putted for a 1 shot win. Played at Royal Mid Surrey on 7th June. Our Team of 6 players were: George Bell (Harewood Downs), David Langley (Castle Royle), Chris Little (Frilford Heath) Max Nicholls (Newbury Racecourse), Tim Shin (Castle Royle), and Jordan Williams (Frilford Heath). The format is 5 scores from 6 count from each round. Hampshire were favourites, with Essex and Kent close behind on handicap. Our combined handicaps were 4 and so our best hopes would be for a podium finish. Our players were lying joint 6th - a very disappointing 13 shots off the pace after the morning round, with the best score coming from David Langley and George Bell with a 2 over, a very strict par, 69. Everyone else seemed to struggle on the difficult course. The afternoon faired little better with only Chris Little posting an average score of 74. We finished a disappointing 7th yet again with Hampshire the runaway winners by 14 shots from Essex. Played at Moor Park on 14th & 15th June. The format is 5 scores from 6 to count and our team was Ashley Brewer (Denham), Adrian Donkersley (Gerrards Cross), David Lane (Goring & Streatley), David Niven (Newbury & Crookham), Cliff Pearce (Ellesborough) and Phil Sewell (Castle Royle). Hertfordshire had ‘Home’ advantage and were clear favourites with their real strength in depth. We had a poor morning and trailed Hertfordshire by 11 shots with Surrey just ahead of us. We were however in front of Kent and that made a change! Day 2 came and we never looked in with a shout. Despite some good scores we were really too far back to challenge and whilst our score was the 2nd best of the day and just 1 behind Hertfordshire we ended up in 3rd place. 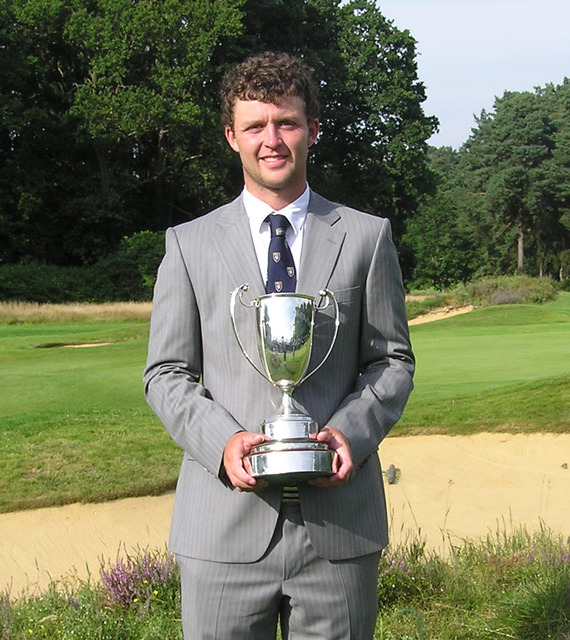 Played at Crowborough Beacon Golf Club on Saturday 14th July, the event was abandoned after 12 holes and the title awarded to Suffolk after their 6 man 12 hole gross scores had been aggregated.